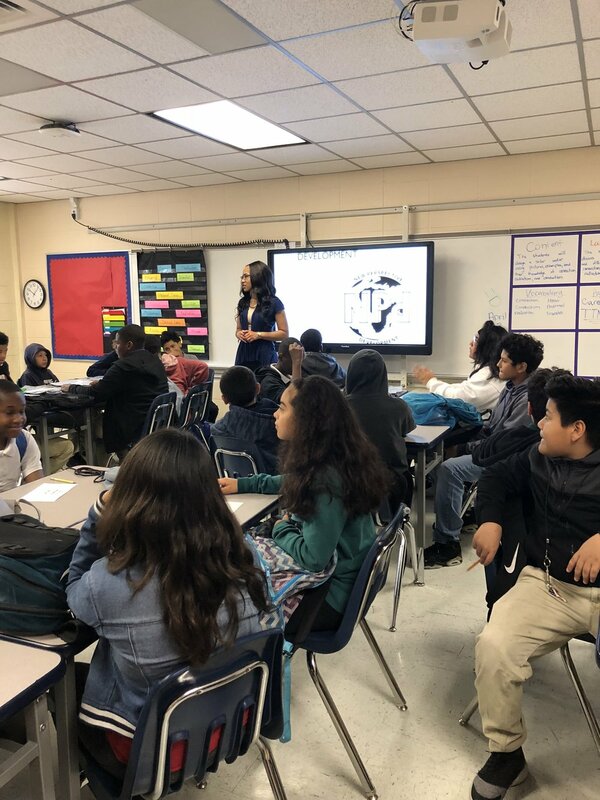 Project Excellence — The Troubled Movement, Inc.
Project Excellence is an education program created for students from middle school to college. We host educational workshops, tutoring, and events that raise money for scholarships, school supplies, and prom/graduation sponsorships. For more information on this program, please contact Shariese Martin at shariesem@thetroubledmovement.org. To register for this program, please click the button below. Our annual "5K for Education" Walk allows us to raise money for scholarships to high school juniors and seniors that are preparing for their upcoming college career. Click the button below to view the photos from our 2017 5K walk. See you next year! Dennis Stoot was born to Mildred & Felix Stoot in Houston, Texas on March 25, 1970. He was not only the Godfather to our organization's Founder, Maranda Evans, but her role model, teacher, and protector. From elementary school to college, Dennis was an academic scholar and football player. He attended Lamar High School and received a full scholarship to University of Houston. Even after an injury that caused Dennis to hang up his football jersey, he continued to excel academically. Dennis Stoot passed away due to heart failure on September 25, 2007. The Troubled Movement has created a scholarship in his honor to celebrate the wisdom and knowledge he instilled while he was here. May his legacy live on through thousands of students and academic scholars to come. To donate to our Dennis Stoot Scholarship Fund, click the button below and leave a "For Dennis" note during checkout. Dennis Stoot graduates from Lamar High School on June 5, 1988. His knowledge and memory will never be forgotten. Kendalyn Robinson is a 17-year old senior at Stafford High School. In the Fall of 2019, Kendalyn plans to attend Lamar University in Beaumont, TX. She is involved in JROTC as the Officer of Operations, Delta Gems, church-related ministries such as Naomi's Example (NExT), Girl Scouts, Youth Choir, Visions of Faith, and J.A.M. Puppet Ministry. Kendalyn is a proud mentee of The Troubled Movement, with President Maranda Evans serving as her Mentor. In her spare time, Kendalyn enjoys writing poetry. Jasmine Carmon is 18 years old and attends John Eheret High School. She is also an International Baccalaureate diploma candidate. As for school extracurriculars, she is a part of the National Honor Society. Outside of school she participates in: Junior Daughters, altar serving, lectoring during church mass, the CCD program, youth group, and as an animal shelter volunteer. The college she will be attending this fall is the University of Louisiana at Lafayette. Lauryn Montez is a senior at Carver High School. She is currently the Senior Class Treasurer and serves as an Officer for the Carver Dance Company, and Secretary for both the Business Professionals of America and Academic Decathlon organizations. 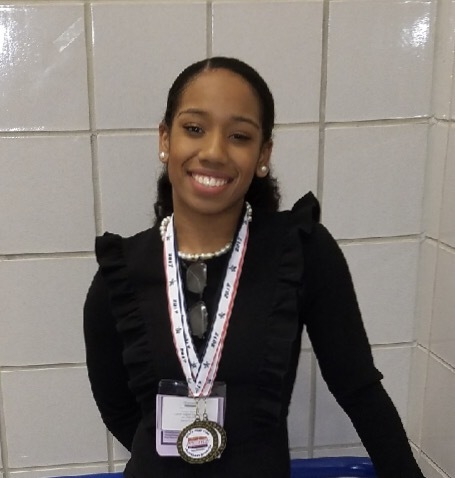 Lauryn is involved with the Speech and Debate team and competed in the UIL for engineering in Computer Applications. In her spare time, she is most likely making music edits for performances or spending time with family. Despite her extraneous schedule, Lauryn makes it a priority to attend church three times a week because it gives her the mental and spiritual guidance she needs to continue to let her light shine in the world by following the advice of one of her favorite scriptures, "Humble yourselves before the Lord, and He will lift you up." (James 4:10). Congratulations Lauryn on winning First Place in the annual L.E.N.S Scholarship Contest! Asahele Benford is a 16-year old resident of Houston, TX. While her aspirations in life are to become an Obstetrician Gynecologist, track is her passion. Asahele is involved in many organizations such as Health Occupations Students of America, Queens of Tomorrow, and Student Council at Klein High School where she is currently in the 11th grade. One interesting fact about her is she owns her own clothing line, Eco1947, were there focus is spreading positive messages and empowerment to youth. Congratulations Asahele on winning Second Place in the annual L.E.N.S Scholarship Contest! Our board members and mentors are in the process of planning our 2019 Texas College Tour. The mission of this tour is to take 10 of our mentees to five Texas colleges over the course of four days. We will begin at Sam Houston State (leaving our home of Houston, Texas) and end with University of Texas- San Antonio, making stops and staying in Dallas, Austin, and San Antonio. Most of our mentees currently don't have the financial means to attend college nor visit colleges. Under our education program, Project Excellence, and by raising money for our Bill Roberton Education Fund, we will be able to show the students that they are capable of visiting and attending college. Every year we give out scholarships to high school juniors and seniors through our Learning Never Stops (L.E.N.S) Education Series. To learn more about the Bill Roberton Education Fund, click here.